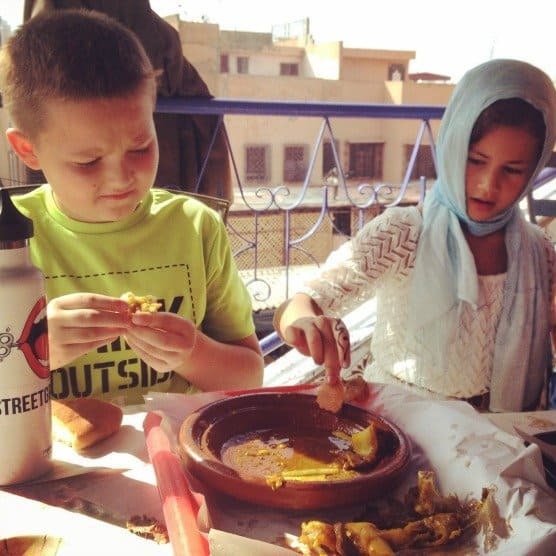 Marrakech has one dish that they are especially known for – tangia. Not to be confused with tajine, this is truly special. On every food tour we try to take our guests to try this food. Of course vegetarians have to miss out but for everyone else this “man meat” as one person called it is out of this world. 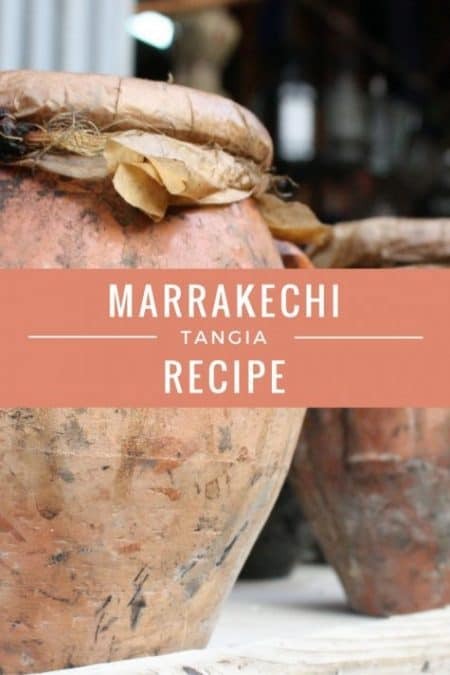 Unlike tajines, tangia is cooked in an earthenware urn. It’s covered in parchment and slipped under the warm coals of the fernachi over night. In the morning it’s removed and the tender, falling off the bone meat is eaten by lunch. There’s no messing around with vegetables here – it’s just meat. The history of this food is as interesting as it is tasty. In previous generations the men who worked in the artisan shops of Marrakech had Friday (the Muslim holy day) off of work in the afternoons. On Thursday it would be someone’s turn to collect the money from everyone to make tangia. This is one dish that men did typically make. Whoever was in charge got the ingredients, put it together and delivered it to the oven. When Friday afternoon came, the men would pray the midday prayer and then go to a park or garden outside of Marrakech to eat, play music, and overall enjoy each other’s company. All I know for 100% sure is that this is delicious. It’s worth the trip to Marrakech but if you can’t make it, you can make your own version at home. 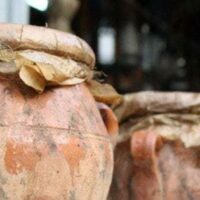 This recipe is for a pressure cooker as I know not everyone has a tangia pot at home. If you don’t have a pressure cooker you could try it in the slow cooker or cook on very low heat in a heavy duty skillet. Eating tangia with our friends from Pint Size Gourmets! This is THE dish of Marrakech. It's only made here but now you can make it at home too! Tangia is a really simple way to use tougher cuts of mutton and make something delicious. In pressure cooker, add the olive oil and garlic while cooking on medium heat for about 3 minutes. Wash and trim lamb of all excess fat and add to the pressure cooker. Add all of the spices and preserved lemon, then mix around all of the ingredients so that the meat is covered with all of the spices. Next add the preserved lemon, smen and water. Just enough water should be added to barely cover the meat. If cooking on the stove top (not in a pressure cooker) add half the water and watch closely as you may need to add more. Vent the steam and check to see if the meat is tender. It should be falling apart with a thick sauce reserved. If the meat is falling apart but there is a lot of liquid left continue boiling down the liquid. When finished turn out onto a plate and eat with crusty round bread or French baguettes. Have you eaten tangia? What did you think? I love Morocco & all the delicious food. I been there in 1997 & plan on returning. I am so happy I found your site. Shukraan lakum! 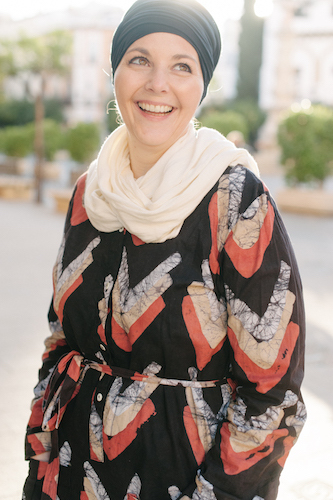 I just went to Morocco two weeks ago and I cannot get the country out of my head! While having dinner at the market in Marrakech, we saw another man at our table eating so happily a yellow meat with bread that my friends and I decided to order it too just to try it. It was SO good that I ended mopping up all the liquid with bread. It was only until the next day, when our tour guide talked about local food, that I learned it was called tangia.